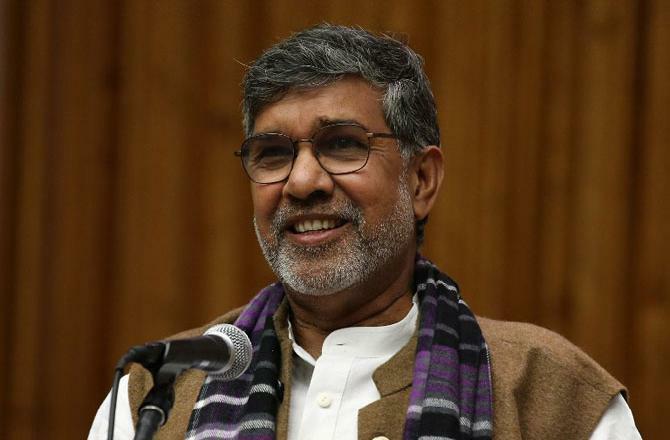 India, which is a hub to easy trafficking of girls from neighbouring countries, will see an end to the vile practice once the anti-human trafficking bill is passed, said Nobel Laureate Kailash Satyarthi. “India is an easy destination for trafficking especially for girls from neighbouring countries like Nepal and Bangladesh. It is the transit point from where the girls are transported to Gulf countries. Under the new law, strong bodies will be made which will focus on stopping transit trafficking,” Satyarthi, 64, told IANS. Satyarthi who had been fighting for the rights of girls and strongly advocates saving them from trafficking was honoured with Nobel Prize in 2014, along with Malala Yousufzai. He is also one of the strongest advocates for architects of the anti-trafficking bill. “This is a big achievement for India post-independence ensuring freedom from human slavery. It is a very strong law and will act as a deterrent against human trafficking,” he added.